My name is Meghan Mack and I am a senior at the University of Louisville. I am majoring in Economics and getting a minor in International Business. I will be studying abroad this spring in Florence, Italy at Florence University of the Arts. I spent my last day in Florence doing all my favorite things and I couldn’t have asked for a more perfect and beautiful day. I woke up early and got one last bagel and lemon bar from Mama’s Bakery before walking around the city for several hours, taking pictures, visiting all my favorite spots and getting one last Florence bracelet. I went back to my favorite gelato shop, our bridge, school, Santa Croce, the Duomo, my little fruit stand where I buy my morning strawberries, the hole-in-the-wall amazing panini restaurant, the leather market, and more…Just reliving memories and seeing things in an entirely different way than before. Since I knew today was it and I had no stress of school, I explored so much more and noticed all kinds of new things, even on the streets I have walked every single day. I am afraid that I took some of it for granted…After riding the carousel since I hadn’t been on it yet, I then went to Boboli Gardens and laid in the beautiful sunshine on the top lawn overlooking Tuscany and read a book for several hours. It was relaxing and perfect and one place I will truly miss. After running into some Switzerland friends and stopping to talk, I made my way to a couple areas I forgot to photograph and ended up at my favorite restaurant just before they closed, so I had one last meal. I sat outside and enjoyed the beautiful plaza next to me. The food was incredible and one thing I definitely won’t be able to get back home…handmade spaghetti noodles with only tomatoes as sauce…DELICIOUS! On my way home, I sat on the bridge one last time and enjoyed the views. As long as I have wanted to go home and even though I am still really excited, it is starting to get bittersweet. It’s just I have become so used to this life: walking just down the street to get anything you want, fresh fruits/veggies at markets everywhere, walking along the infamous river literally everyday, living above the cutest flower shop, enjoying incredible views and just the simplicity of life. And when I am not stressed out, I see this city for it’s incredible beauty. It’s going to be really hard and strange to just leave it all behind. It truly feels like just yesterday that I was making the walk to my apartment from the train station with all my luggage, in complete awe of my surroundings. And now it’s over. But in that time, I accomplished so much and got to do so many things I could have never dreamed of before coming. Arrivederci Firenze. Thanks for allowing me to grow and become a better person. America, I have a big hug waiting for you! So my time here in Florence is winding down, as I will be home this time in 4 days and while I am ready to be home and cannot wait to see everybody waiting for me, it will be really weird leaving as I truly have become adjusted to the European lifestyle. I will miss many simple things like walking along the Arno River to the grocery store multiple times a week, taking naps and reading in the beautiful gardens and stopping at my favorite little street market in the mornings to get some strawberries for breakfast. My one piece of advice for anybody that is going to travel abroad is to never stop when you are there. Travel as much as you can and don’t take anything for granted, because you quickly realize there is no where near enough time to see everything you want to. In total, I was only in Florence for 3 out of my 16 weekends and while I got exhausted sometimes, it was worth it all and I got to see SO many amazing places that exist in this world. I made it to eight different countries and 30 something cities. I have seen so many places that most people only get to see in books or on the internet and when I look back on pictures, it feels like a dream. However, I thought I was going to cross a lot of places off my list, instead, I only found out that there are even more places that I would like to make it to and visit one day! I have been in Florence, Italy for just about six weeks now. Although some of the first couple of weeks were really difficult due to the adjustment period and feeling like I didn’t have time to accomplish anything, now time is starting to fly by and in two weeks, it will already be halfway over! I am studying with a program called ISA (International Studies Abroad) and I LOVE them! I would definitely recommend them to everybody and they have study abroad locations all over the world. The staff is amazing, both during the pre departure process and while abroad. Our staff here is amazing and our Resident Director is like a second mom. 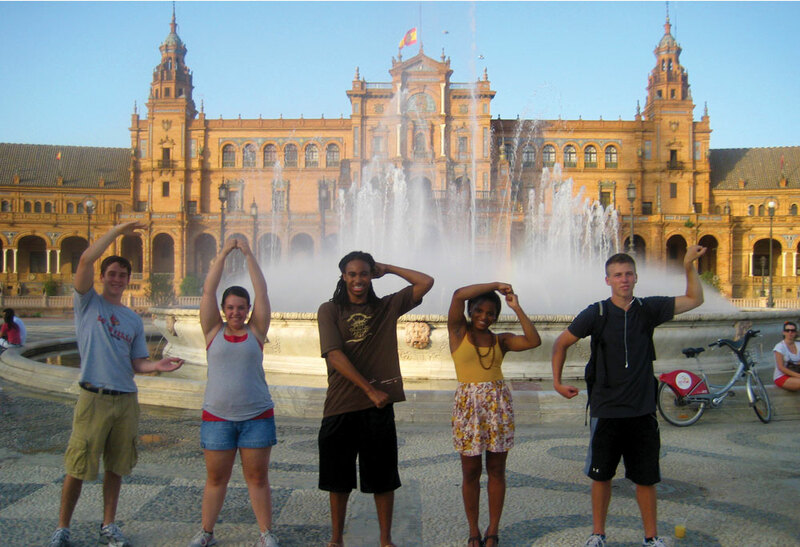 What is really great about ISA is that they plan excursions for you, that are included in the price of your tuition. For example, they took us to several tours around Florence, the opera, a cooking class, a soccer game and several locations throughout the Tuscan region of Italy. It’s something I didn’t realize would be such a big deal, until I met friends here that are with other schools/programs and they have to plan everything themselves. School here has proved to be quite different then back home in the States. The weirdest thing for me is the fact that when school is out due to a holiday, they reschedule the classes! This means that if on Monday there was a holiday, your teacher would reschedule class to Friday or some people even have weekend classes. They also don’t allow you to have sick days, even with a note. It is very strict, and of course, I was thinking they would all be blow off classes. That isn’t quite so true. I am lots of travels coming up including Prague, Paris, Berlin, Amsterdam, Amalfi Coast, Croatia, Cinque Terre and Ireland. I am really excited and becoming addicted to traveling!